News has reached us here in Curry Culture HQ of a new fast-food chain in Dubai with a rather different take on curry accompaniments. Curry and Toast serve all sorts of curry with, you’ve guessed it, toast – it sounds like a student’s culinary heaven. Of course, it’s definitely not a traditional side dish and you’re unlikely to find it in any restaurant this side of the United Arab Emirates. Bread is frequently used as a base for all kinds of Indian sundries, though, from the humble naan to more exotic choices like parathas stuffed with keema and puri dahiwallah made with yogurt. This is one of our favourite recipes for Mughlai Paratha. Heat the cooking oil in a wok or deep pan, on medium heat. Add the cumin seeds and fry for 1 minute. Add the onions now. Fry till they turn a pale golden colour. Add the ginger and garlic pastes and fry for 1 minute. Add the minced meat and all the powdered spices – coriander, cumin, garam masala and salt to taste. 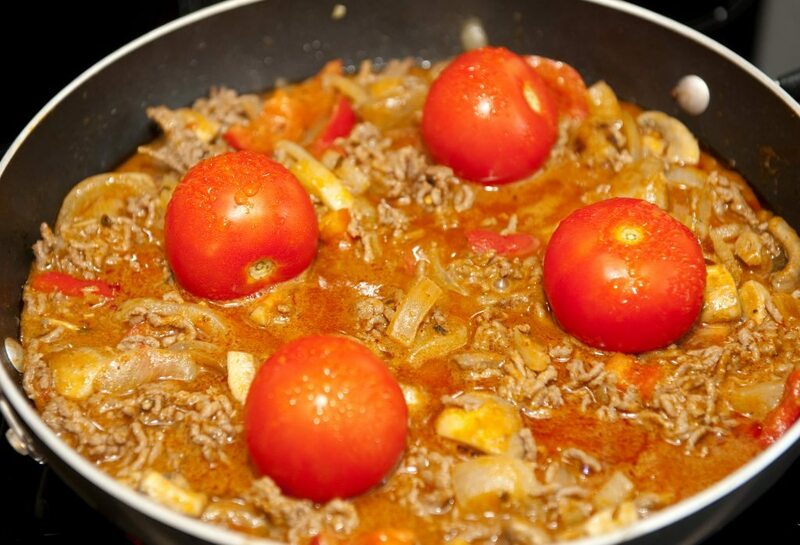 Continue to brown the minced meat, stirring often to prevent burning. This should take about 5-7 minutes. Add the tomatoes, stir and cook till they are soft. Turn the heat off, add the lime juice and stir. In a large bowl, mix the flour and salt to taste. Add the milk a little at a time and knead. Once the milk is used up, add water. Knead well to make a medium-soft, smooth dough. Wet your hand and rub all over the surface of the dough. Cover with a damp cloth and keep aside for 15 minutes. Whisk the eggs with salt to taste and keep aside. Divide the dough into equal-sized balls and then press flat. On a floured surface, roll a ball out into a 4″ circle. Put a large spoonful of the Masala Kheema in the center of the circle and fold edges of circle up to completely cover and seal the Masala Kheema inside. Pich the folds to shut. Gently press down on the filled ball to flatten it and then roll it, with very gentle pressure, into a 6″ circle. Do this for as many Parathas as you want. The unused dough can be refrigerated and used later for upto 3 days. 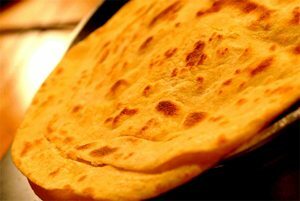 As you finish rolling out the Parathas, keep them aside (ready to fry) – place them one over the other with a sheet of plastic wrap in between each so they don’t stick to each other. Heat a griddle on a medium flame till hot. Put a Paratha on it. Cook till you see tiny bubbles appearing on the upper surface. Now flip. Wait for bubbles to appear on the surface that is now on top. Grease this surface with a little ghee/ cooking oil and flip again. Brush the surface now on top with some egg and flip again. Grease the other side and brush egg on it also. The Paratha is ready when the egg on both sides is cooked. Fancy rustling this dish up? Let us know how it goes! What are your other favourite Indian accompaniments? Who says curry isn't good for you? 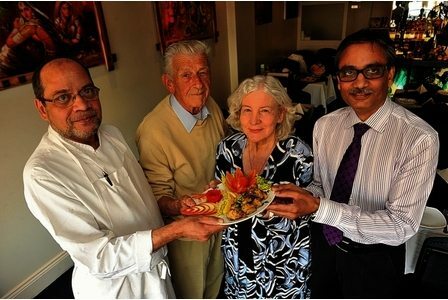 NextWho says curry isn’t good for you? Curry leaves for a Bollywood flawless tresses.